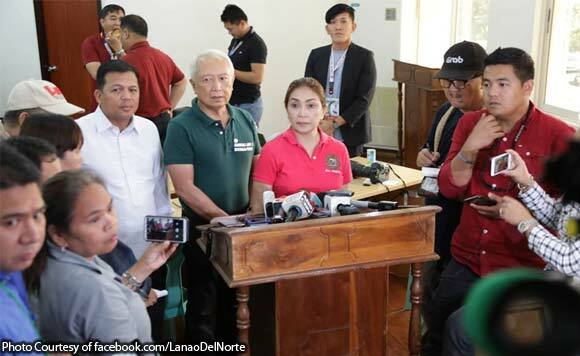 Lanao del Norte Governor Imelda “Angging” Quibranza-Dimaporo has hailed the result of the plebiscite, with the residents voting “no” on the inclusion of the six towns in the province to the future Bangsamoro Autonomous Region in Muslim Mindanao (ARMM). The provincial government said that Dimaporo expressed gratitude to the people who came out and voted despite the bomb scare and security threats prior and during the February 6 plebiscite. “The active role of the security units, both of the Armed Forces of the Philippines and the Philippine National Police, in intensifying (their) presence across the province hampers the devious plans of some groups trying to disrupt the peaceful conduct of plebiscite,” the local government said. With the conclusion of the plebiscite, the provincial government, with the two congressional offices, appealed for reconciliation and cooperation with those who pushed for the inclusion of the six towns to BARMM. The provincial government has opposed for the inclusion of the municipalities of Tagoloan, Balo-i, Pantar, Munai, Nunungan, and Tangcal in the BARMM. It said that these municipalities are essential in maintaining peace and order of the province as well as its economic growth.